Experience a sprinkle of fun and excitement with Studio 6 Cup Cake decorating, wether you are looking for a Mommy and Me outing, fun Birthday Parties with friends or a Girls Night Out, Studio6 is a Great choice. Come in for a Treat. Bring your child and a friend in for a fun cup cake decorating activity. Cupcake decorating is a perfect treat for Individuals. Great for small group play dates. Fabulous for Large Birthday Parties. Fun outing for Girl Scouts Troops,Camp Groups, Church Groups , Day Care Field Trips and School Field Trips .Our professional trained cup cake decorators will guide and instruct the activities. Come in for a treat....Decorate your own cupcake. $10.00 (Per Girl)....Include: 2 Cupcakes, Decorating materials: Sprinkles,Buttercream Icing, Plastic Icing bag and Punch. $15.00 (Per Girl)....Include:2 Cupcakes, Decorating materials: Sprinkles,Buttercream Icing, Plastic Icing bag , Ice Cream Bar with your choice of Chocolate ,Carmel ,or Strawberry syrups topped with a variety flavored of Sprinkles. unlimited Punch. Each Girl decorates 2 cupcakes. Decorating Materials: Buttercream icing,Plastic Icing Bag, Piping tips, sprinkles. To go cupcake carrier holder. Ice Cream Bar with your choice of chocolate ,carmel or strawberry syrup topped with variety flavored sprinkles. Each Girl receives a candy filled treat bag. Each Girl receives a take home Apron. Each Girl receives a take home Chef Hat. professional trained cup cake decorators will guide and instruct the activities. Each Girl decorates 3 cupcakes. 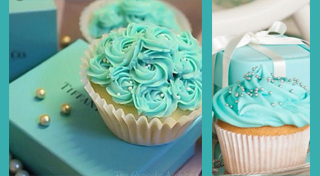 Tiffany blue buttercream icing with a glam bling to top it off. Purple buttercream icing with a rain of sugar pearl sprinkles. 3. Pink Blossom Rose pink buttercream icing with petals of flavored sprinkles. 4. Creme Vanilla White buttercream icing with a rainbow of sprinkles. 5. Cookies & Cream White buttercream icing with Oreo Cookies topping. 6. m&m cup cake white buttercream icing top with assorted flavored chocolate m&m. 50% Deposit Required to reserve your party date. What about siblings and unexpected guests? If a child is expected to participate in the party in any way, include them in your total guest count. Unfortunately, we are not able to accommodate unexpected guest or siblings of guest. As we prepare our parties based on a final guest list. No unpaid additional guest or sibling will be allowed in the Spa Party Area If not apart of the paid party package group count. Do adults stay during the party? Limit of 2 Adult Chaperones *Due to the space availability a limit of 2 Adult Chaperones is allowed in the Spa Party Area. *The parents of the invited guest are not required to be in attendance. The parents of the guest will not be allowed in the Spa Party Area. However Parents are wel-come to do Drop offs/pick ups.